EXOR Embedded SOM are smart, highly miniaturized, flexible and fully customizable solutions to be adapted by any different product. Software drivers and Configurator tool technology for fast and easy product development availables. 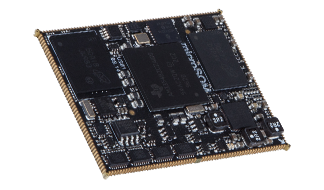 The microSOM is very compact smart System On Module and makes easier to design a new generation of products such as Controller and HMI products with simple carrier board design. The microSOM is very compact smart System On Module and makes easier to design a new generation of PLC connecting equipment and HMI products with simple carrier board design. 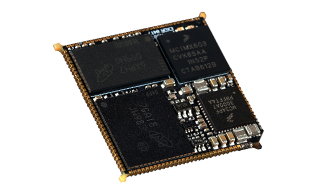 Exor Embedded nS01 is high innovative, high performance very efficient, ultra compact and cost-effective SOM based i.MX 6 UltraLite CPU ARM Cortex-A7 core. 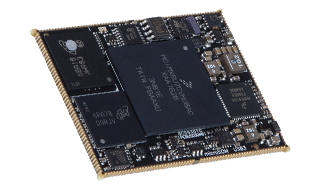 The nS01 nanoSOM solution ideal for applications requiring IoT connectivity, multimedia capabilities and high security in connectivity. 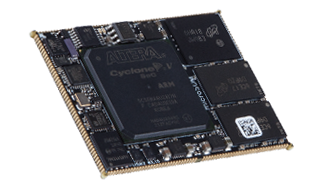 It is ideal smart SOM for Industry 4.0 embedded solution.